We offer a variety of sites with water, sewer and either 15amp or 30amp power. Sites with no services are also available for tenting. 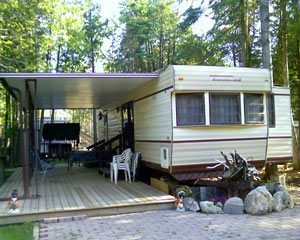 Sites can be rented by the night, week or for the whole season. 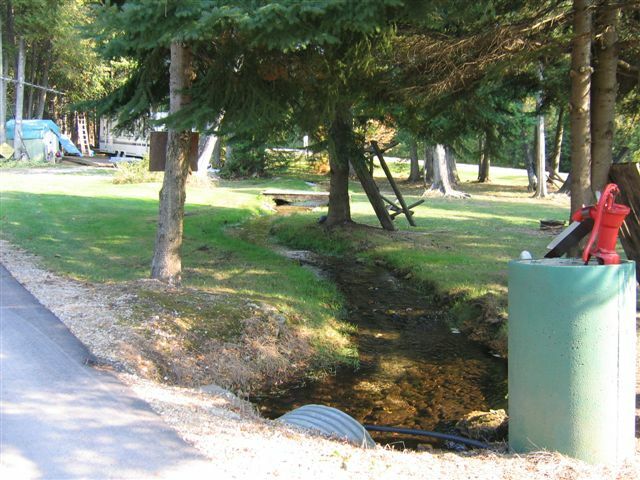 Our well treed sites and the babbling brook that passes through the park combined with the natural beauty of our location along the Rocky Saugeen River make for a peaceful and relaxing stay at our campground. Reserve a site today and experience the wave of tranquility felt by all who camp at our location. Over 19 acres of our park remain in its natural and undisturbed state. 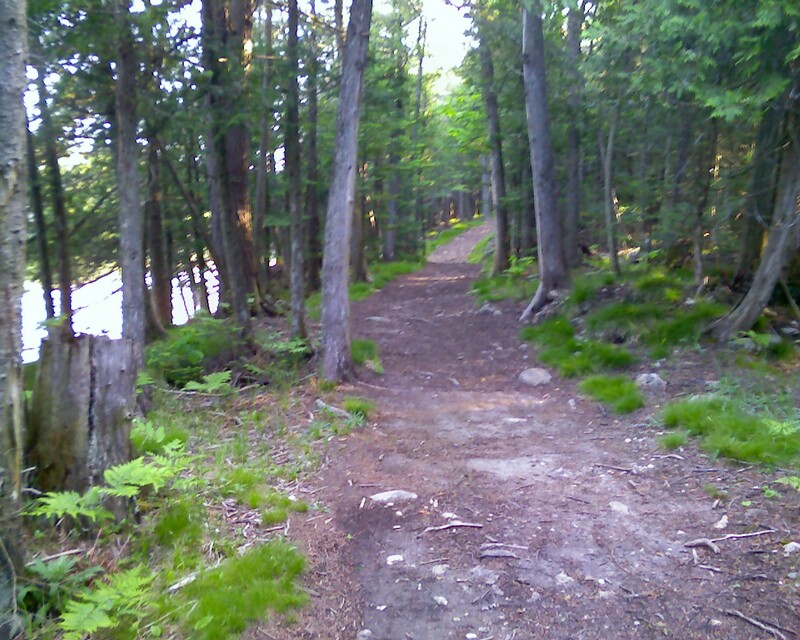 Take a walk along our many trails and enjoy the flora and fauna of the area. 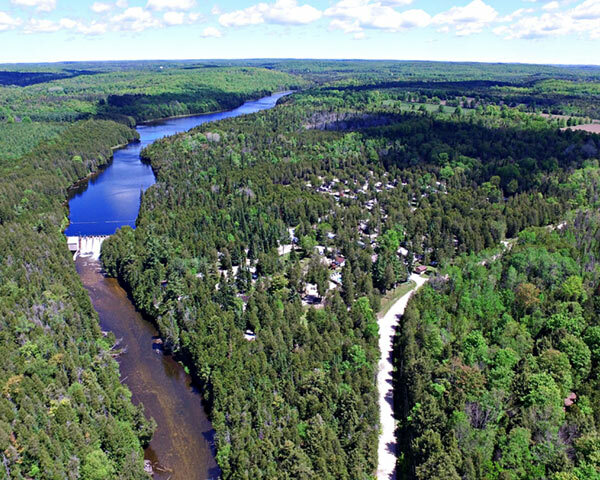 You can walk along the 2500′ of riverfront along the Rocky Saugeen River and view the river as it cascades over the hydro-electric dam and falls 30′ to the lower section of the river. Pack a lunch and have a picnic in the woods with the teddy bears. Please observe simple rules and take all waste with you as you leave the preserve and do not pick or harm any of the plants and trees. A wide variety of activities can be enjoyed by visitors to our campground. We have horseshoe pits, shuffleboard courts, and badminton and volleyball nets. Equipment for these activities is available for a small rental charge or bring your own. To experience the river to its fullest canoes and paddleboats are for rent at our location or use your own. No power boats are allowed on the river. Divers will want to explore the deep and wide area of the river upstream of the dam. Fishing both above and below the dam is unparalleled in the area. 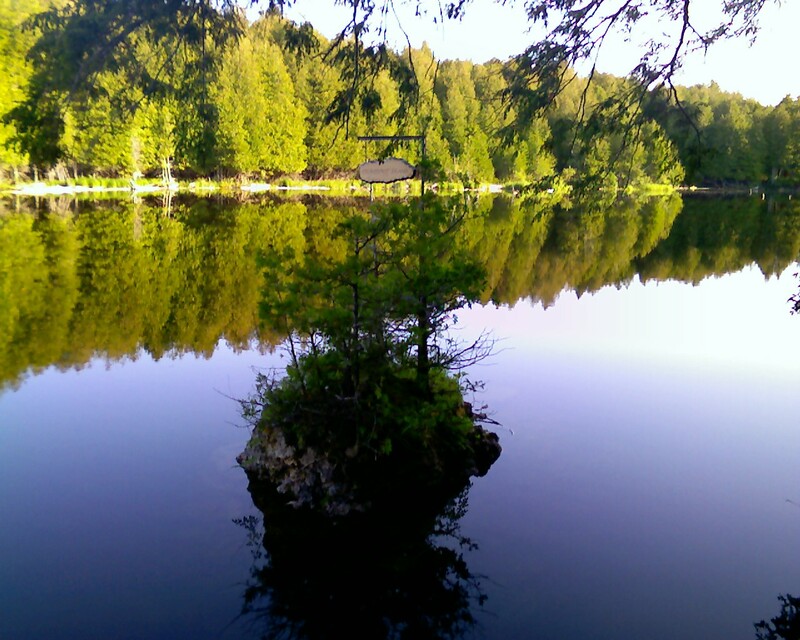 Call today and reserve a campsite or just come for the day to relax and enjoy our environment. 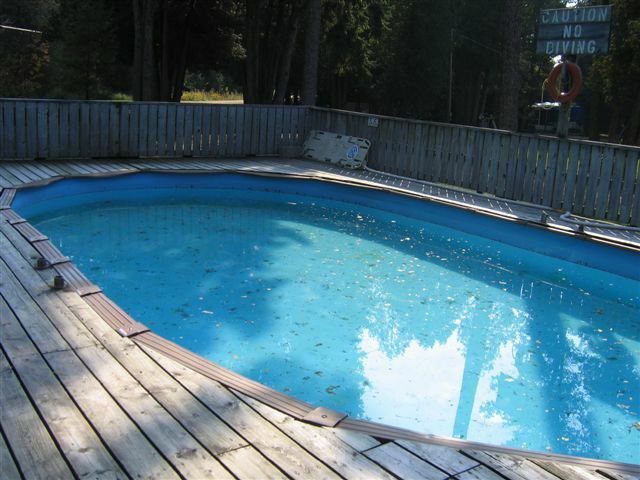 The above ground pool and sun deck with privacy fence offers cool soothing waters and a chance to catch some rays. 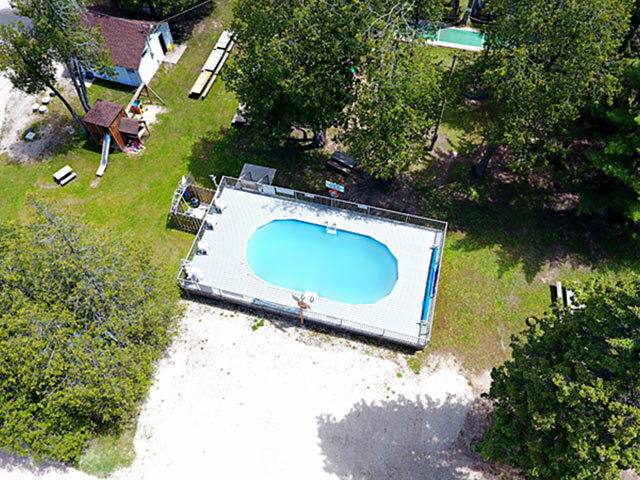 The pool is available to both campers and day visitors. Children under sixteen must be accompanied by an adult at all times. Please observe simple safety rules while swimming in the pool. Running, horseplay, diving or boisterous behavior is not allowed. No lifeguard is on duty and swimmers using the pool do so at their own risk. The cabin will accommodate four people. You can rent the cabin by the night (two nights minimum) or by the week. Call for reservations and book now as availability is limited. Our store is fully stocked with all the essentials necessary for campers and visitors to our park. Basic groceries, cigarettes, camping supplies, ice, worms for fishing, toys and games for children, are some of the items available at our store. The store is located at the front gate for your convenience. We are open seven days a week from 8:00am until 10:00pm during the months of May through September. April, and October we are open Tuesday through Sunday from 9:00am until 6:00pm.